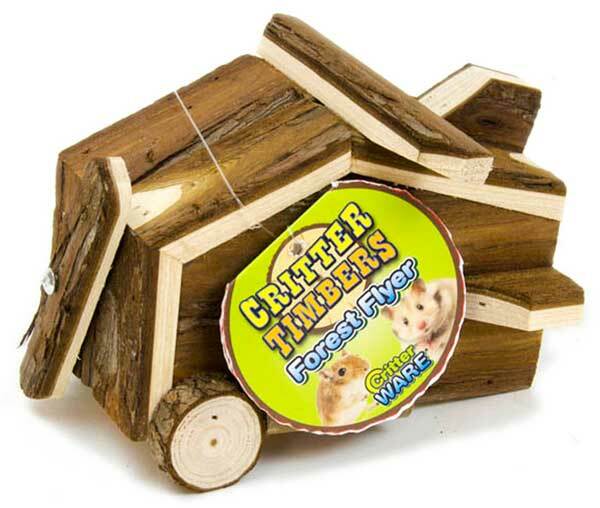 Critter Timbers Forest Flyer by Ware Mfg. 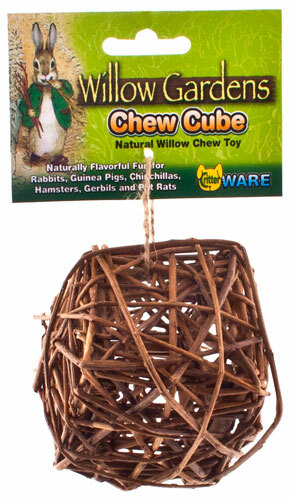 is a fun critter hide-out made from natural, sustainable wood. 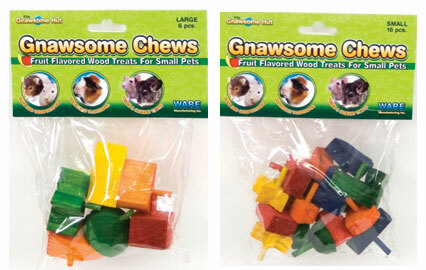 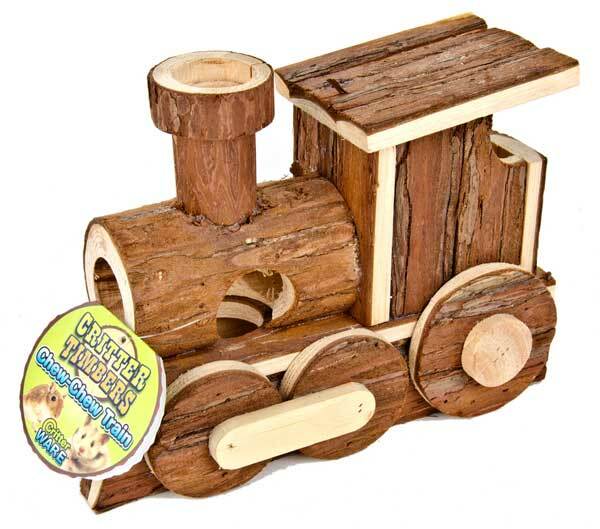 The bark covered wood is an irresistible chew surface that is safe for all small pets, and the fun design offers lots of opportunity for critter playing and resting.